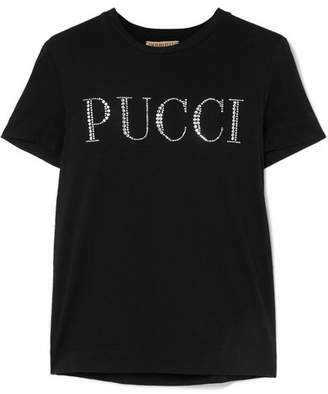 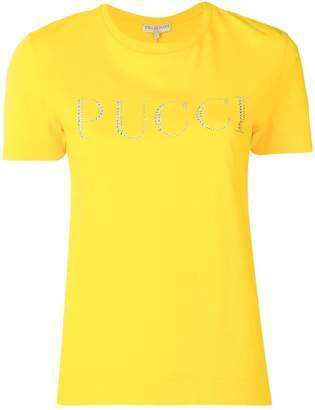 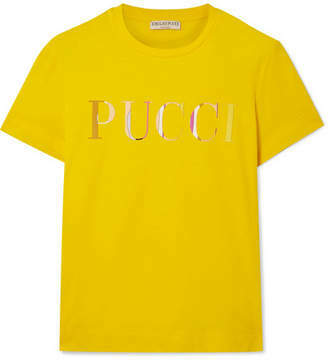 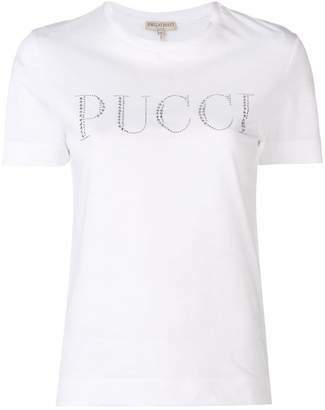 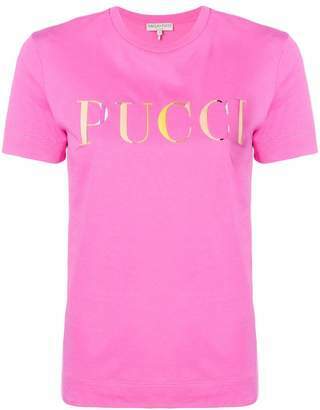 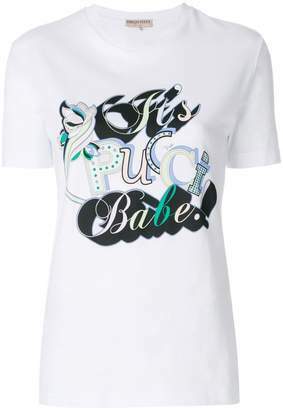 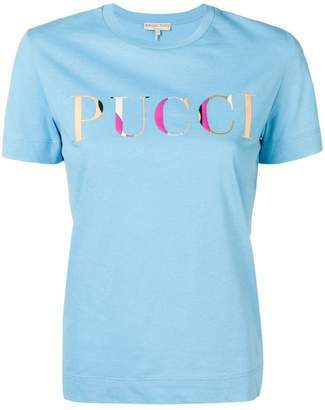 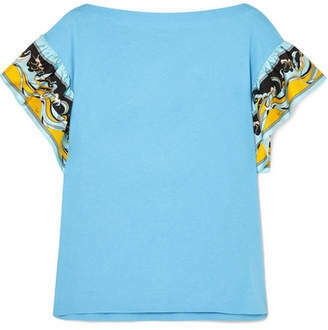 Inject Emilio Pucci’s inimitable Italian glamour into your everyday wardrobe with this crystal-embellished logo T-shirt. 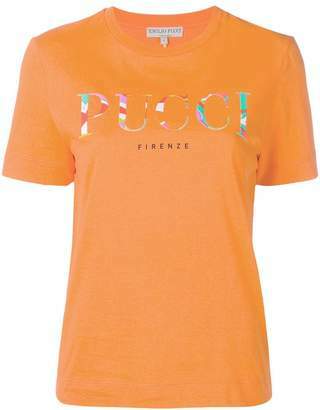 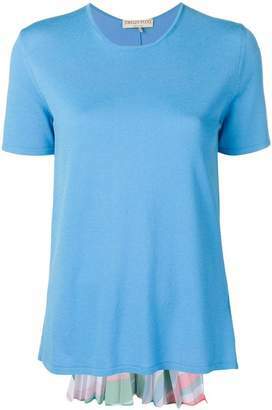 Constructed in Italy from soft cotton in a punchy orange hue, it’s cut in a relaxed fit and has a classic ribbed round neck as well as slightly elongated sleeves that are perfect for rolling. 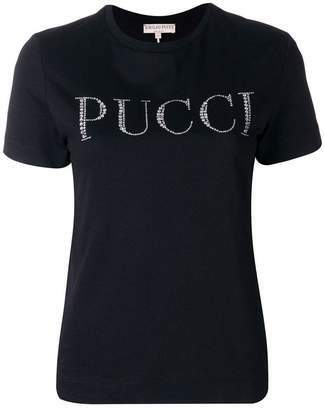 The unmistakable logo and sparkling black crystals cement the must-have status of this piece.